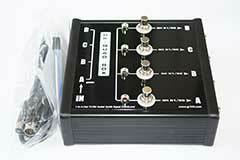 Size: 6.625" (D) x 6.5" (W) x 2.75" (H). 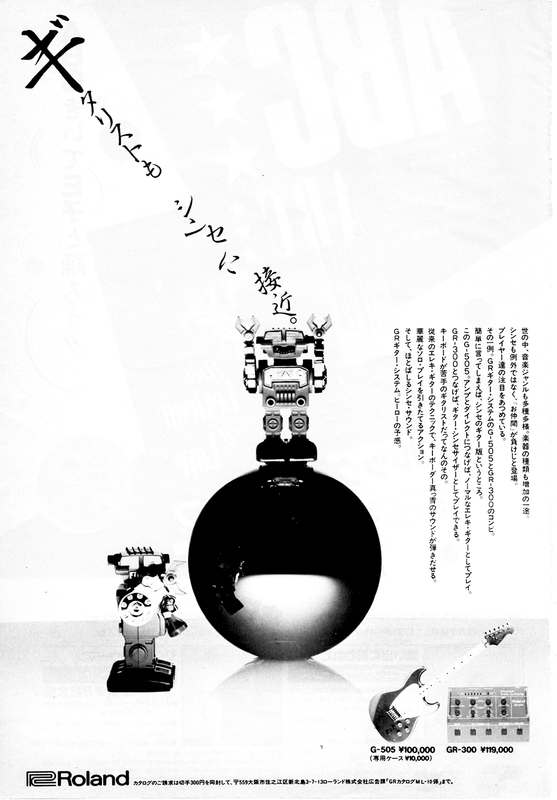 Weight: 1 lb 13 oz. 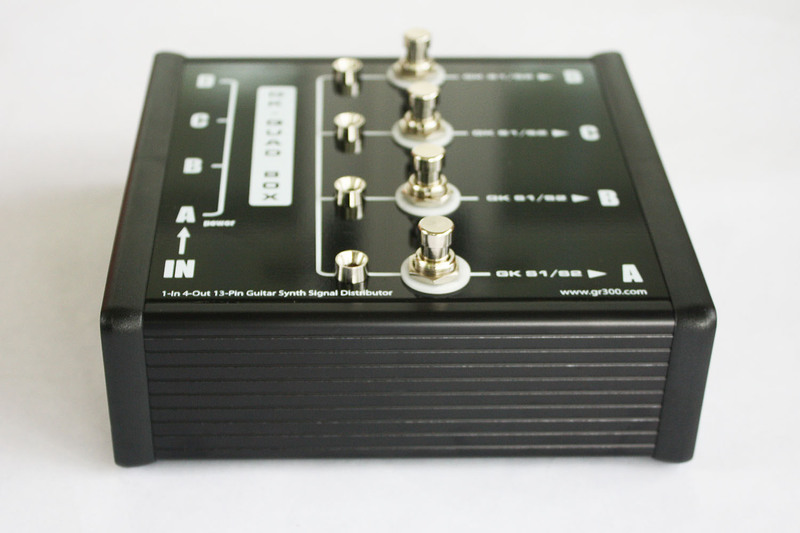 The GK QuadBox is the essential tool that Roland guitar synth players have been searching for: a combination of the Roland US-20 unit switcher, with the long discontinued Roland GKP-4. 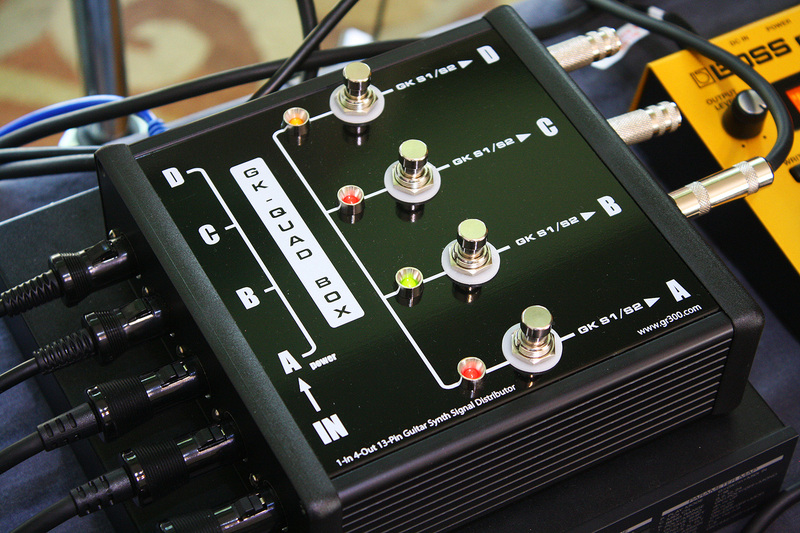 The QuadBox combines the features of these two units together, allowing one guitar to play up to four Roland guitar synthesizers at the same time. 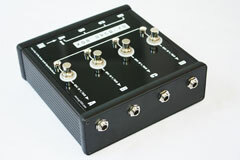 The GK QuadBox starts with the basic design of the GKP-4 and adds individually buffered GK Synth Volume outputs. 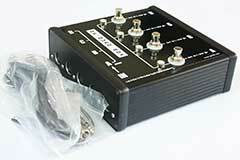 This enables the output (GK Synth Volume) of each synth to be turned on and off, just like with the Roland US-20. 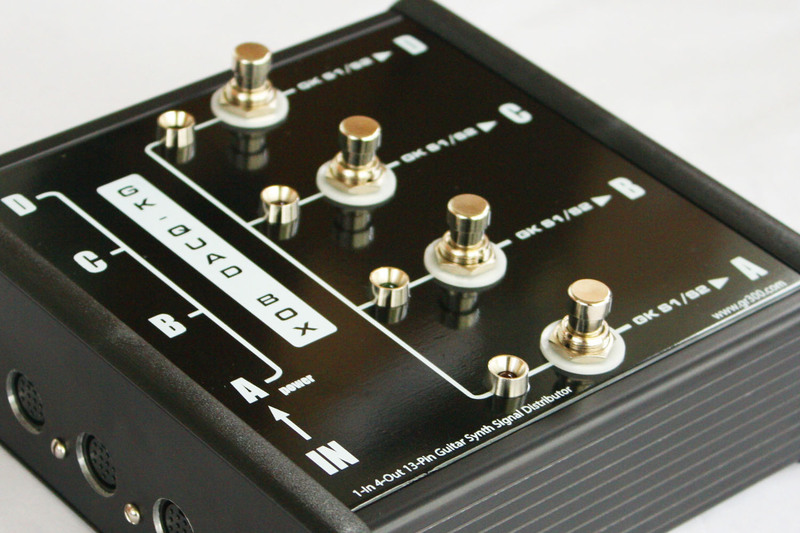 The GK QuadBox also provides access to the GK Synth Volume signal path for each output. 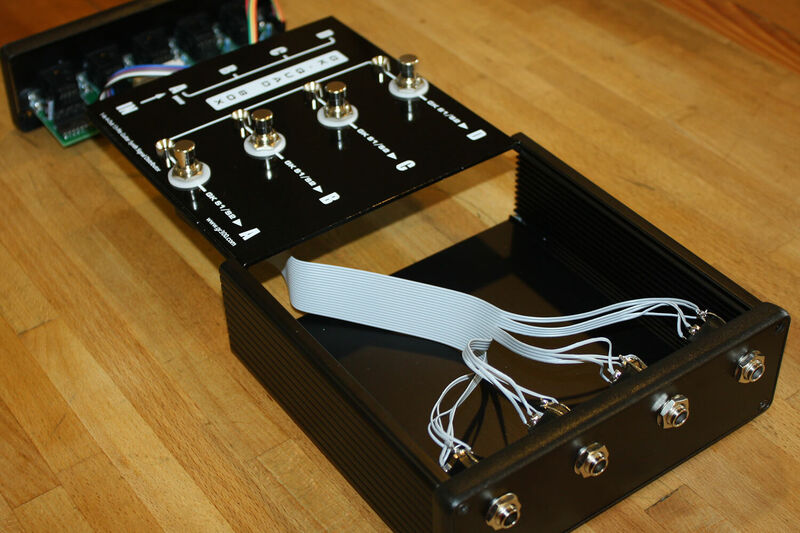 This means that it is easy to add a Roland EV-5 pedal to each output for individual foot pedal control over volume.This video shows how a Roland EV-5 is used to add control over the output of synthesizer "B". 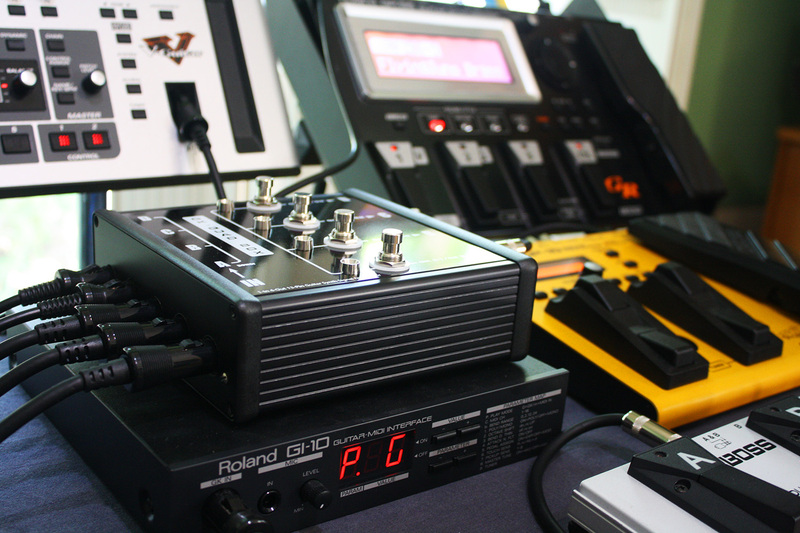 The Roland US-20 allows either Synth A or Synth B to receive GK S1/S2 commands from the guitar controller, but not both at the same time. While the original GKP-4 used micro-switches to turn GK S1/S2 commands on or off. 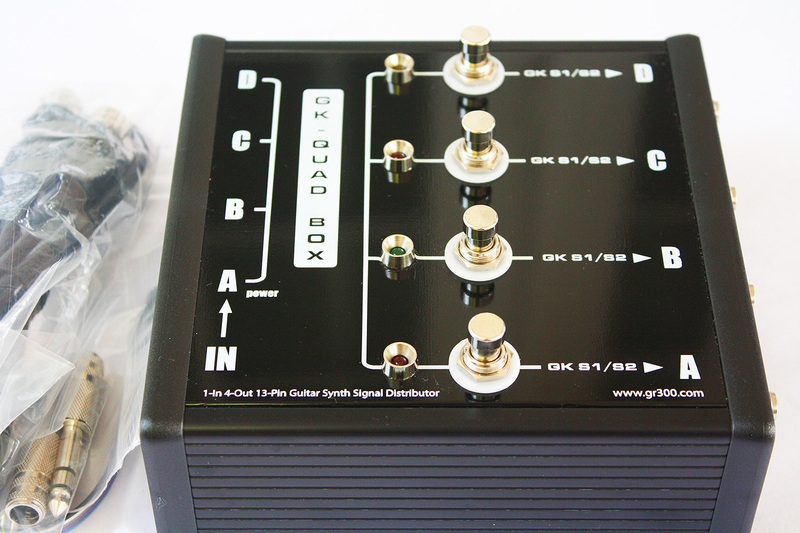 The GK QuadBox takes a different approach: by default, GK S1/S2 commands from the guitar are sent to all four outputs simultaneusly. But the GK QuadBox has individual 1/4" TRS input jacks to allow access to the GK S1/S2 control signals for each synth. 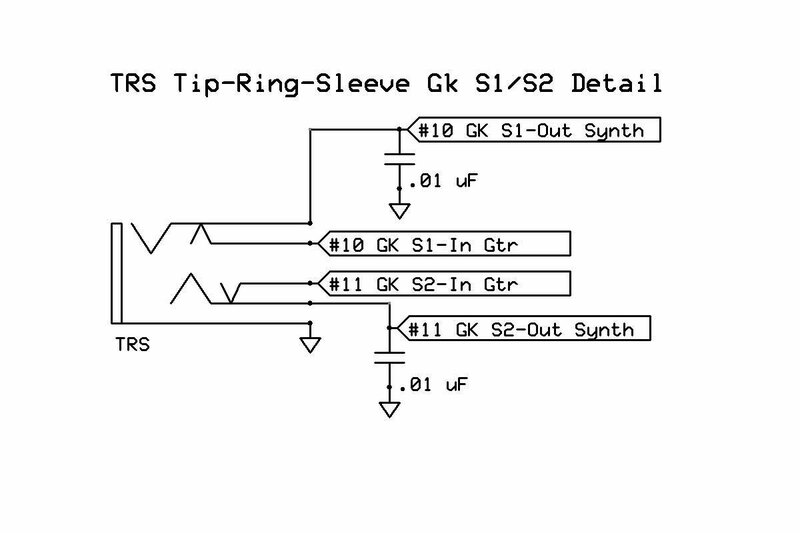 In the style of the Roland GKP-4, if you want to disable GK S1/S2 commands to an individual synth, just plug a dummy TRS jack or TRS cable to interrupt the GK command from the guitar. 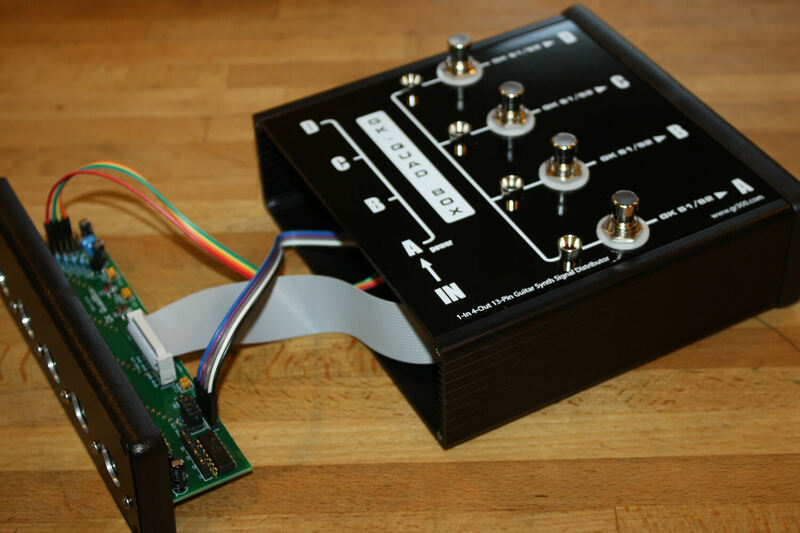 This accomplishes the same duty as the micro-switches in the GKP-4. 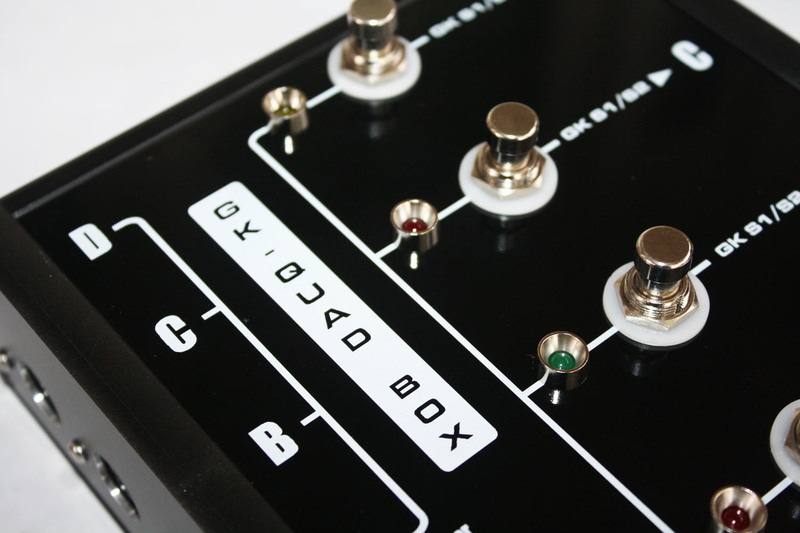 But the GK QuadBox goes further, giving the player options not available with either the US-20 or GKP-4. 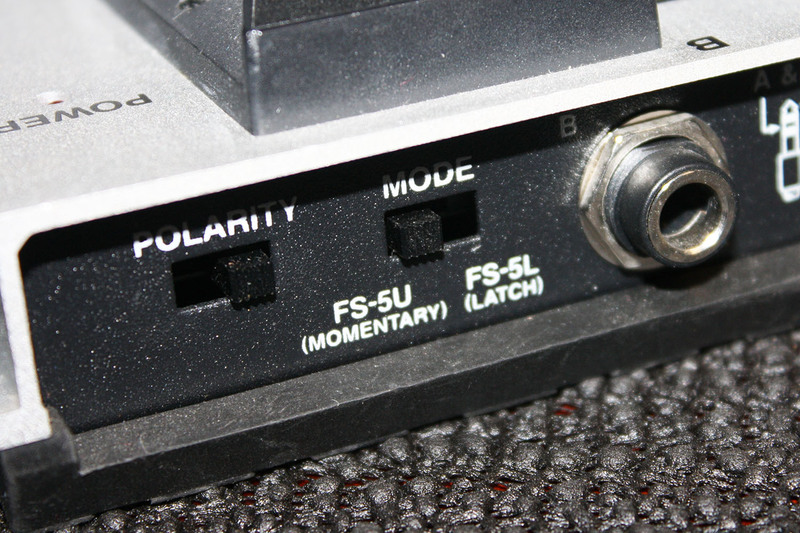 By plugging in a Roland FS-6, or similar, foot switch, you can generate new, independent GK S1/S2 commands for each attached synth. 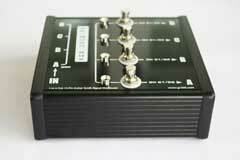 Any simple on/off foot switch will work. 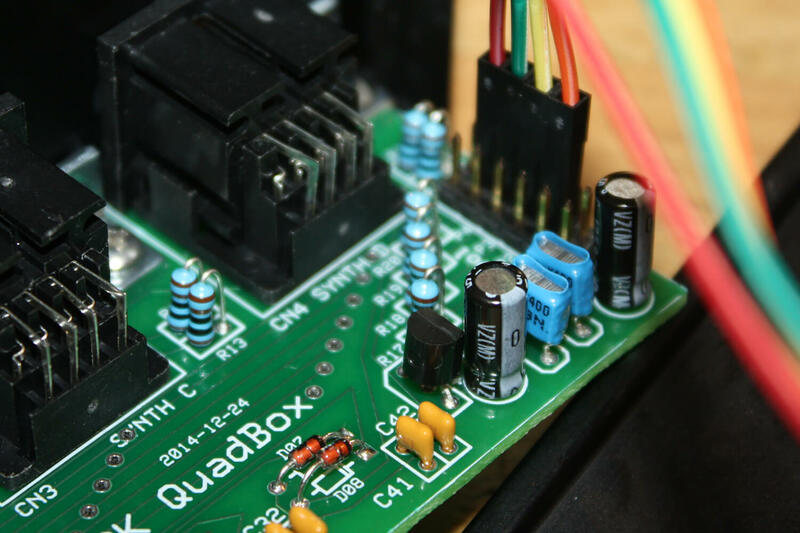 And the GK QuadBox circuit includes internal capacitors to prevent switch bounce as well. There are even more options for GK Synth Volume commands. 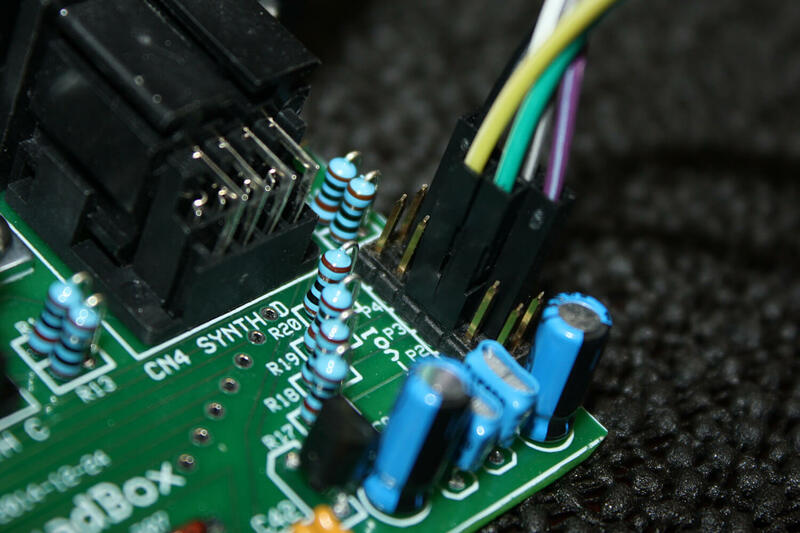 For the advanced user with DIY, do-it-yourself ambitions. 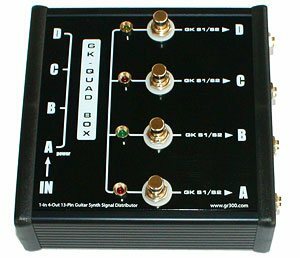 the QuadBox provides access to the GK Synth Volume signal at two points: before and after the control voltage buffer amplifiers. 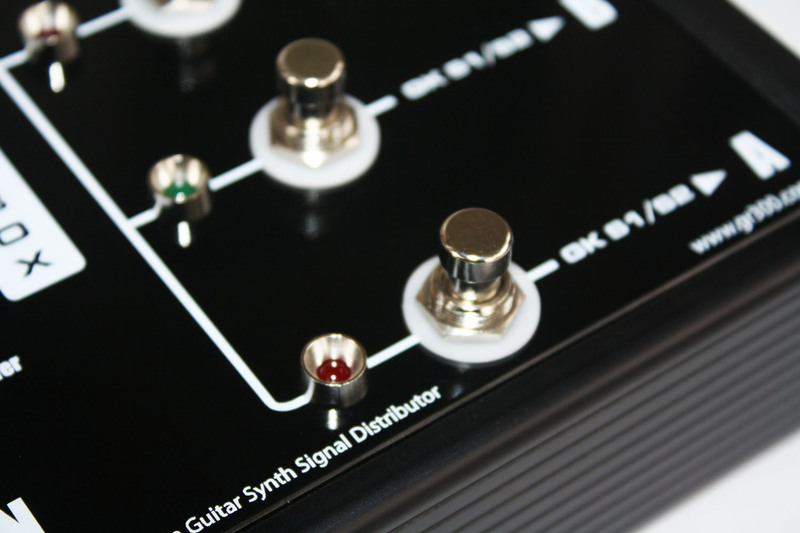 Before the buffer amplifier, you can select from either the GK Synth Volume signal from the guitar, or the onboard, regulated +5 volt supply. 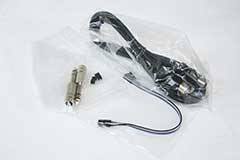 This 5 volt supply can be used to set any synth to maximum volume. 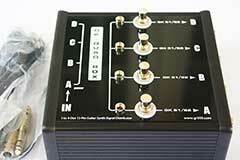 This is same design used in the GKP-4. 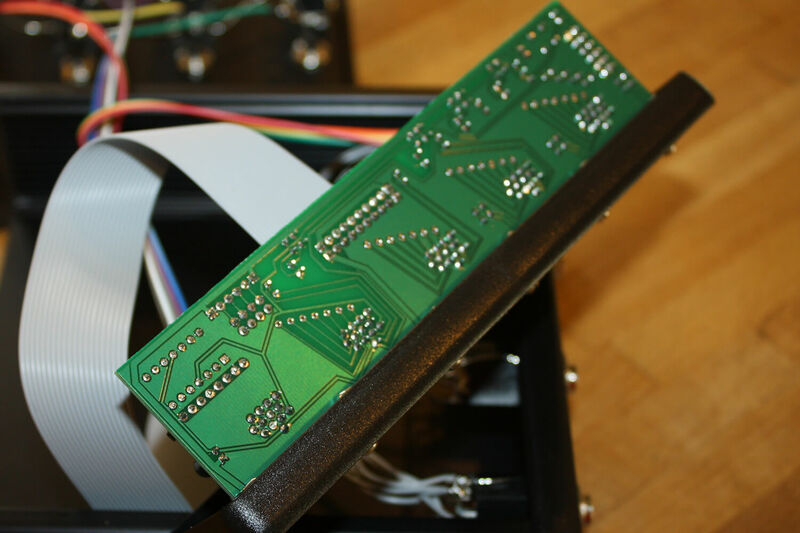 After the buffer amplifier, there are four more jumpers in place that allow the user to individually reroute the GK Synth Volume signal. 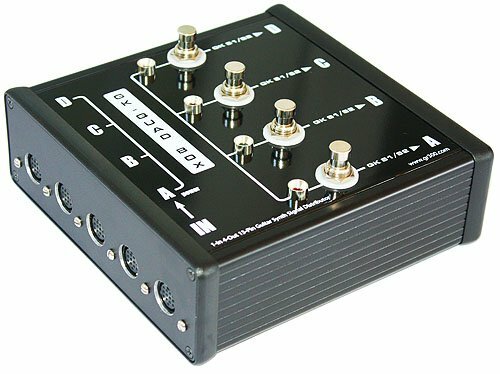 This is designed so that a basic 10K control pot, or a Roland EV-5, can be inserted to control the volume of each synth individually. So you can mix and match volume control from the guitar, or volume control from a EV-5 pedal or additional control pot. 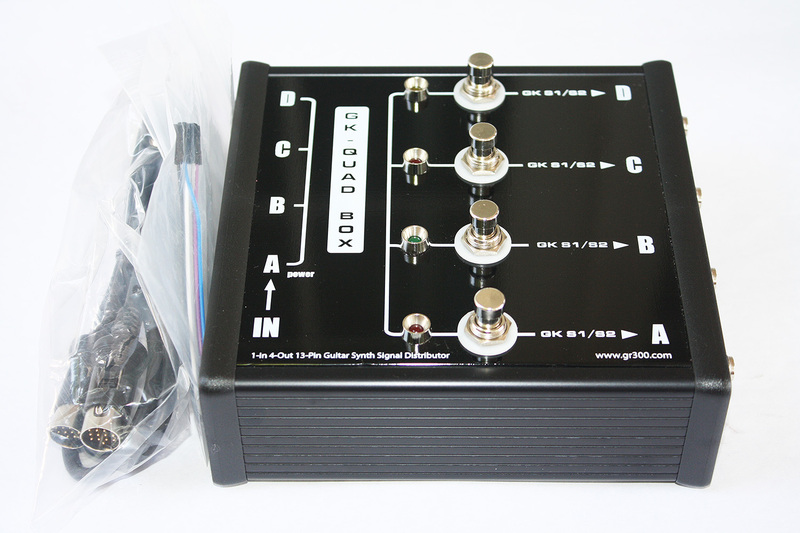 Does the GK QuadBox add any latency or delay? No. 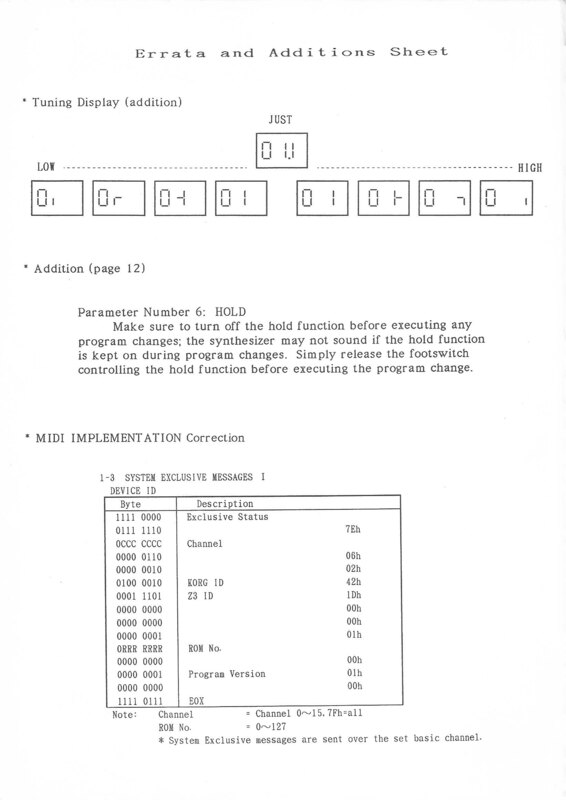 None of my processors add any delay at all. Like the GR-300 and GR-100, they are purely analog processors that do not suffer from the inevitable latency introduced by digital systems. Will the GK QuadBox work with ANY Roland Guitar Controller or Guitar Synth? 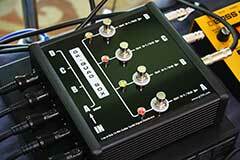 I have tested the QuadBox with the Roland GK-3, and the Godin LGX-SA guitar using the RMC pickup system. The Equator also been successfully tested with the Boss GP-10, Roland GR-55, GI-10 and VG-99. 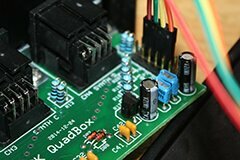 Does this unit require any power? No. 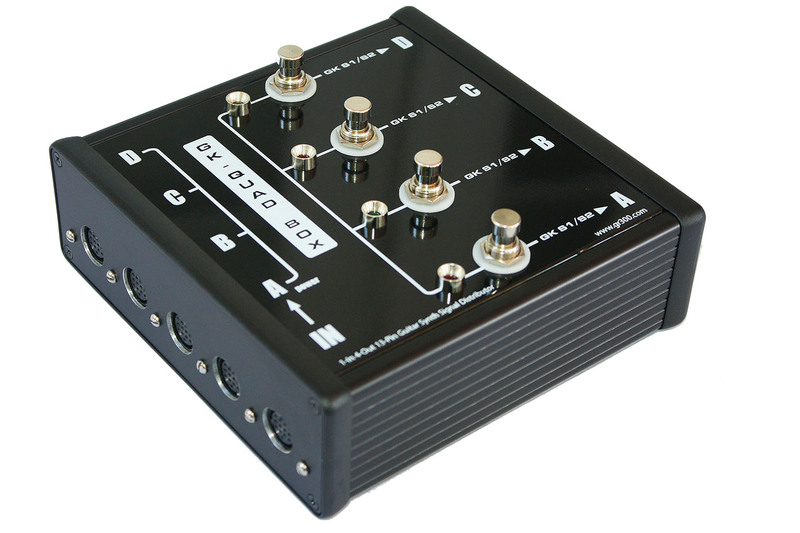 The QuadBox gets its power from the connection to the first guitar synthesizer, output "A". 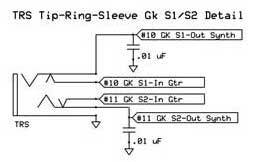 This is the same approach Roland used for the BC-13, US-20 and GKP-4. I hear a low-level hum with some patches. Is this normal? 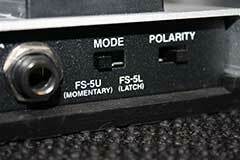 In my experience, you are probably hearing a ground loop hum. 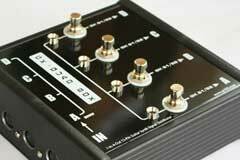 On some patches, particularly those with a big low frequency eq boost, you can possibly hear a hum, depending on the synths you are using, the guitar, and the patch. 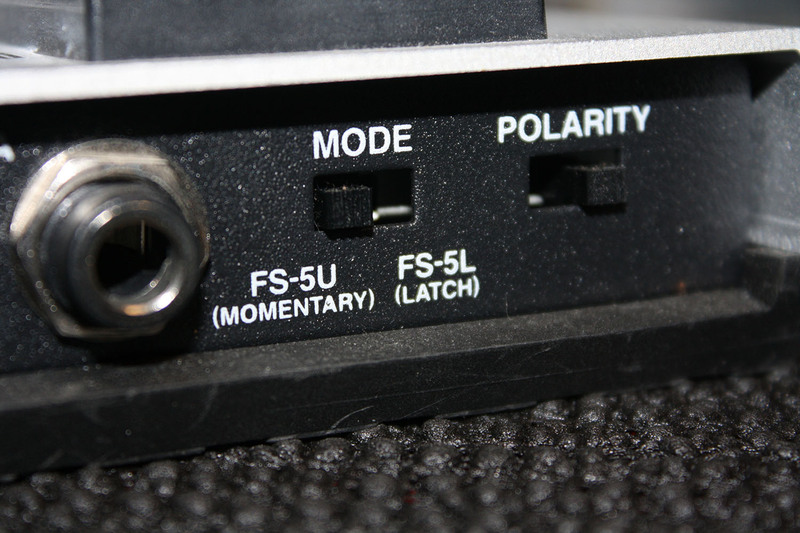 Typically these patches involve the normal pickups, or high levels of gain or distortion. 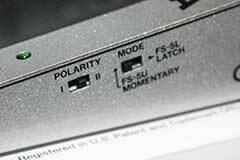 This almost never happens with patches that involve only MIDI signals. 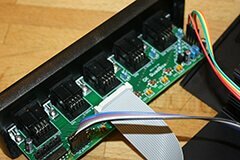 For the patches used in the video demo, there was no hum whatsoever, but any time you have a large system with multiple paths to ground, ground loops (hum) can happen. Here is a great thread from the V-Guitar forum discussing this issue regarding the US-20.